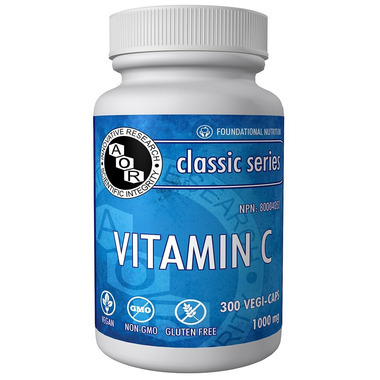 AOR Vitamin C is a factor in the normal development and maintenance of bones, cartilage, teeth, and gums. Ascorbic acid is also an excellent antioxidant. This is a huge bottle of vitamin C and by far is the best value. I love that itâ€™s 1000mg and you get 300 pills. Highly recommend this product. Really happy with this product. The vitamin C was the best treatment for a chronic non identified cough that I had when nothing else worked. Love not having to chew sugar with my vitamin. Easy to swallow,the next best thing to liquid. I trust this brand. I especially like that the ascorbic acid is not derived from corn...most are. This is an excellent product. The ingredients are pure and it is non-gmo. quality product, good price, service was excellent, Canada Post delivery was 2 days early, all around very satisfied.